Get your little ones down to the Courtyard Playhouse for a brand new Improvised Kids’ Storytime! As always, the audience suggests villains, monsters, heroes, friends and animals to help narrate the play. This week’s story is Little Dahlings – an improvised tribute to the legend Roald Dahl. 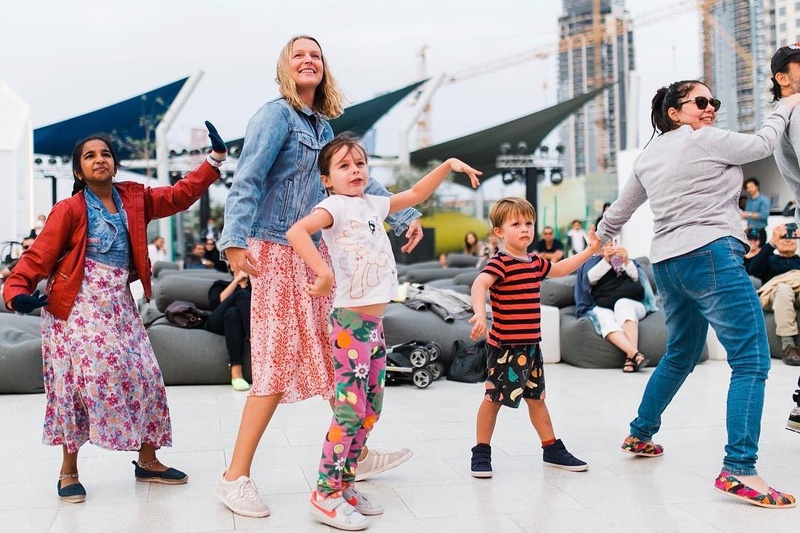 The Garden Souq market organises new and exciting kids activities in Dubai each week, and they’re awesome! This weekend they’ve got loads planned for the little ones, including a costume-making workshop, DIY butterfly necklaces, sensory play, a splash pad, bouncy castle and more! We’ve only got a few more months of awesome weather in Dubai, so make the most of it! Head to West 14th this Thursday to catch the screening of hit children’s film The Jungle Book, followed by the perfect Valentine’s Day film, Love Actually. We’ve all heard of the many benefits of yoga, but did you know it’s great for kids too? Sign your kids up for this fun yoga and meditation class with Lifestyle Yoga. On top of being a healthy lifestyle habit, this class also helps with concentration, confidence and more. Ready to brunch this weekend? Round up the fam and head to Girders Garden for a super chilled and laid-back Saturday brunch. There will be great food (including a traditional roast) and lots of fun for kids. Who said Valentine’s Day was just for adults? Bring your little ones to Cheeky Monkeys this weekend for Valentine’s Day games, face painting, creating a V-day card, and 30 mins of free soft play! Register soon at events@cheekymonkeys.com as there are limited spots. 7. Kids Eat for Free! Parents, round up the kids and head to Club Mina this weekend because they’ve got some awesome family deals on right now! Not only do kids get free access, but they also get to dine for free at Horizon restaurant. Even better, families get 50% off on selected water sports. As always, Rise at DCH has plenty of fun kids activities planned! This weekend, there will be arts & crafts, cartoons, sports, karaoke, dancing, spelling bees, a fireman show, science workshops and more! Make your way to Dragon Mart 2 this year to be a part of all the Chinese New Year celebrations! From stilt walkers and dancing lions to creative workshops and Panda gardens, there is so much happening this weekend. Read more: Need a break from parenting for a day? Here are 5 fun play areas in Dubai that are educational too!